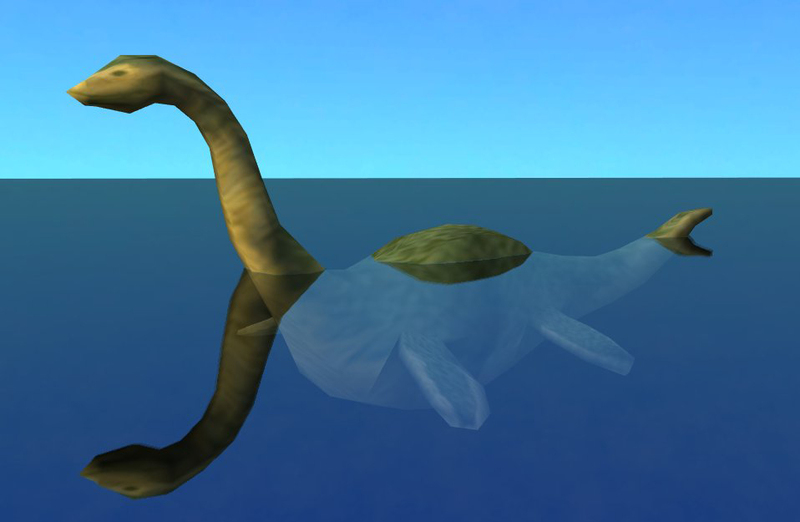 Yes, that's right, this creature has been hiding in your base game files like Nessie in Loch Ness. Hard to believe it never got extracted in all those years but I can't recall ever seeing it. So I'll happily receive my archaeologist badge! Though it wouldn't be me if I just slapped a given texture on a given mesh and was satisfied. For a start I improved the texture a bit, giving that poor monster eyes and a mouth. Then I made six more colors! You'll find them in the rocks category of neighbourhood deco. And you know what's the best part? I also made them defaults for the sailingboats! 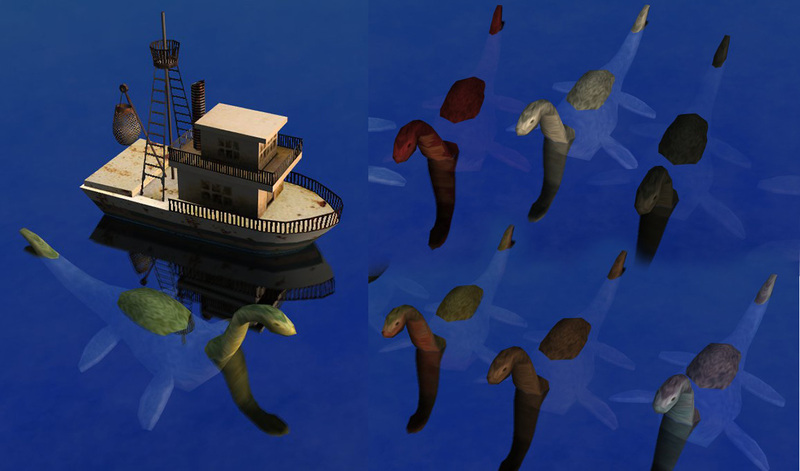 Moving sea monsters, yay! Give appropriate sea life to your ancient/medieval/fantasy themed games! In such games you probably wouldn't want the buoys that pop up when you place boats, so I added a little file that gets rid of them. Custom hood deco requires one EP, no matter which one. The default however works with the basegame! But it's not compatible with my recent Billyjean boat default, you can only have either that boat or this monster swimming around. UPDATE: I have now added more default options so you can have the sailingboat or Billyjean boat at the same time! The swan default works with basegame, the ducks need Nightlife.